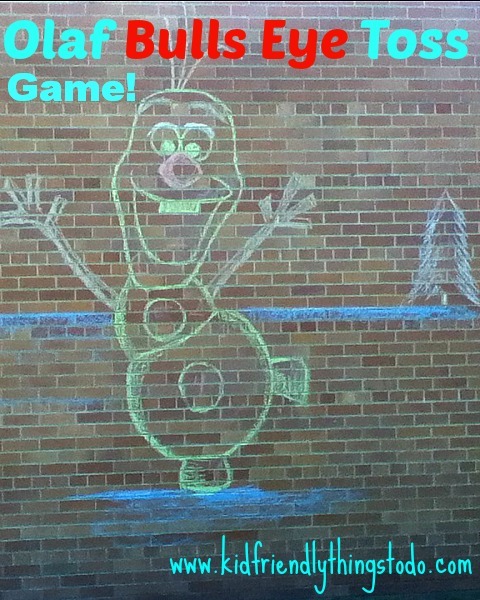 For the last month, I’ve been trying to find the time to bring this idea of an Olaf the Snowman Bowling Game to life! 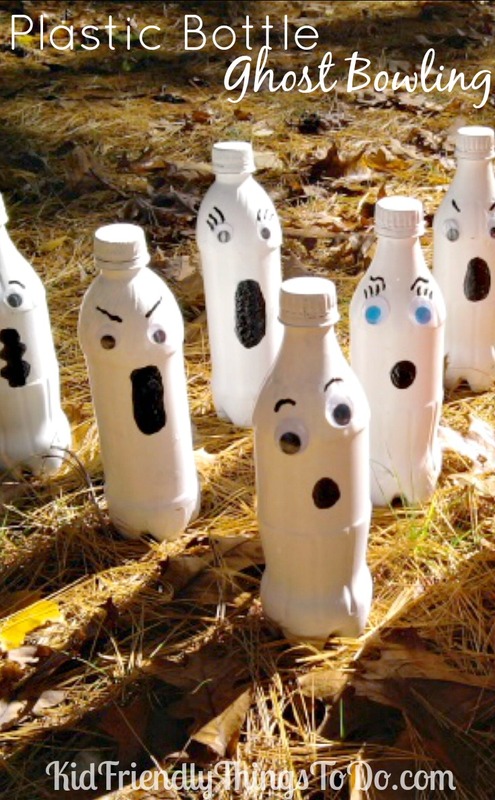 I saw a ghost bowling game in a magazine that used paper towels as the bowling pins. 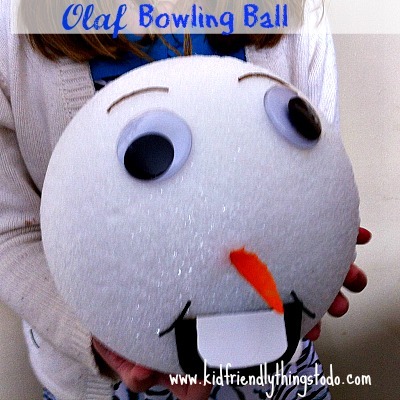 I thought that would be perfect for Olaf’s body, and of course his head would be the bowling ball! 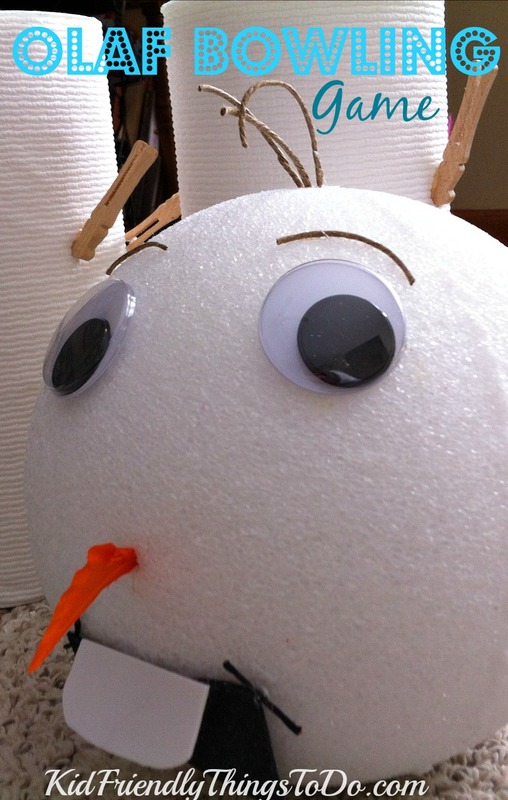 Let me tell you…we had so much fun knocking the paper towel over, over again! 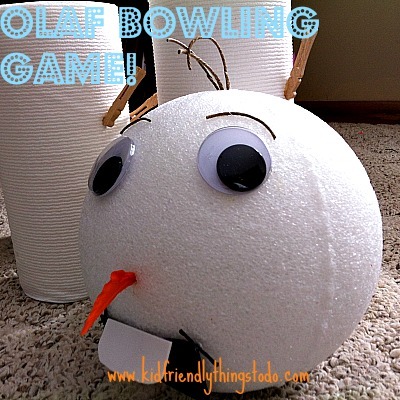 Who needs to pay for a bowling lane, when you have an Olaf bowling game at home?! 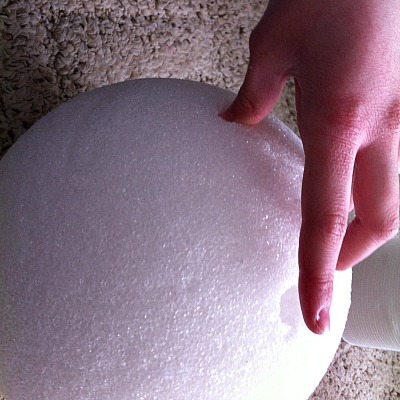 I stuck the feather into the ball – the stem of the feather goes right in! 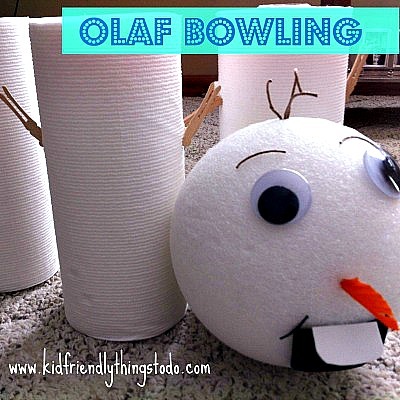 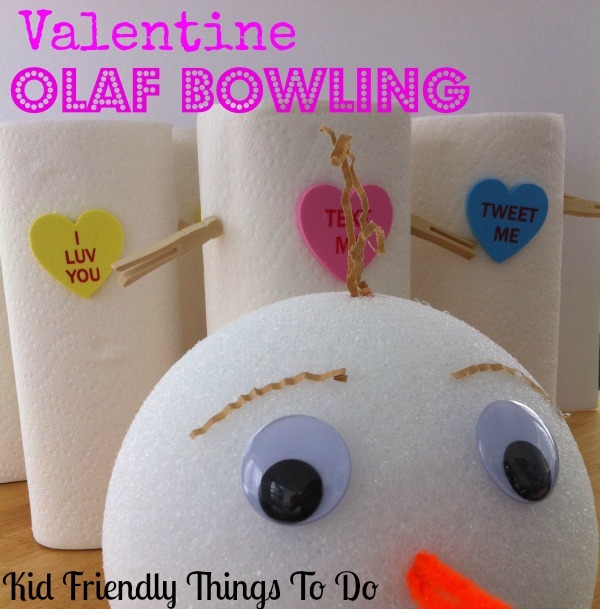 If you enjoyed this post on Olaf From Frozen Bowling Party Game – then don’t forget to follow me and sign up for my Free Newsletter! 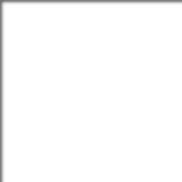 New posts right to your inbox!